Climb with other homeschoolers! 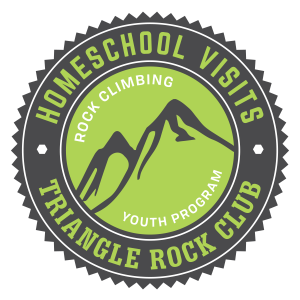 We offer a chance to climb indoors with in a more private setting, while giving you the opportunity to connect with other homeschooled students in the area. Each homeschool visit includes official TRC Event Belayers that assist throughout your time at the facility to ensure each climber gets the most out of their climb time! We have open homeschool visits scheduled once a month; homeschool groups can also set up a time to come in with their group. No specific home school group affiliation is necessary. This is a two-hour visit, at a highly discounted rate, during the day. These visits are great opportunities for home schoolers to connect with one another in an active environment. Email Programs Manager Kelsey for more information.